The former John Rayer house in the Bayridge neighbourhood was originally designed in 1963 by Barry Downs, assisted by Fred Hollingsworth. 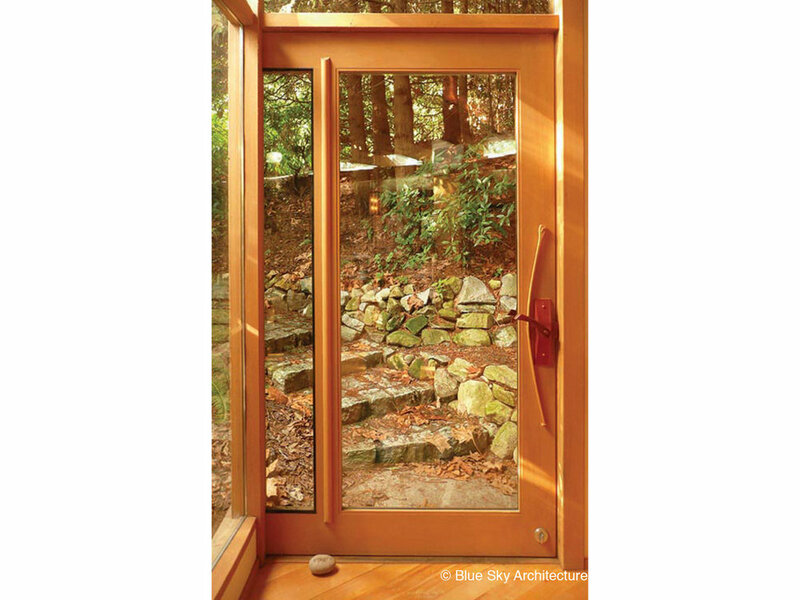 Given site contingencies and a desire to preserve and enhance the garden, there was only one location for a studio addition, along the east side of the lot, connecting with the existing house at the living room’s end. 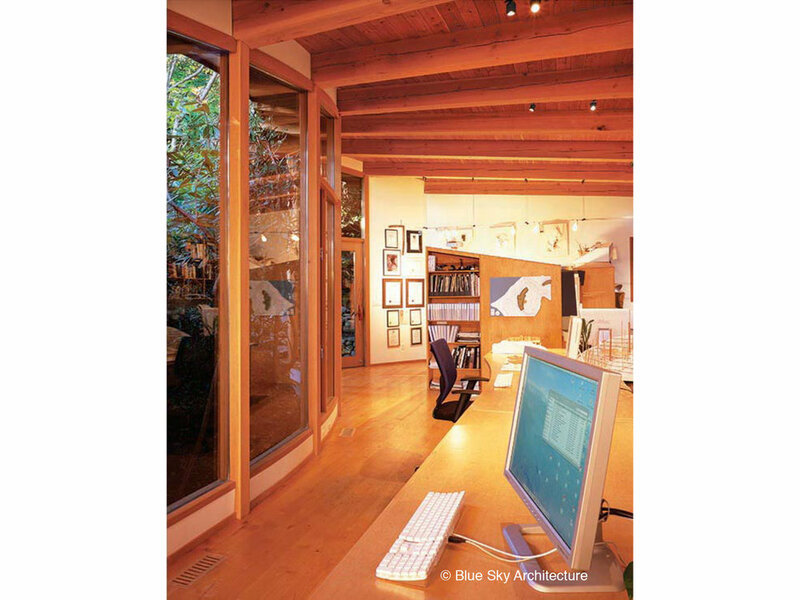 The designers decided early on that the addition would not directly extend the Downs-Hollingsworth elevational idiom, but would clearly assert itself as a Blue Sky addition, making existing house and garden look even better through creative contrast. 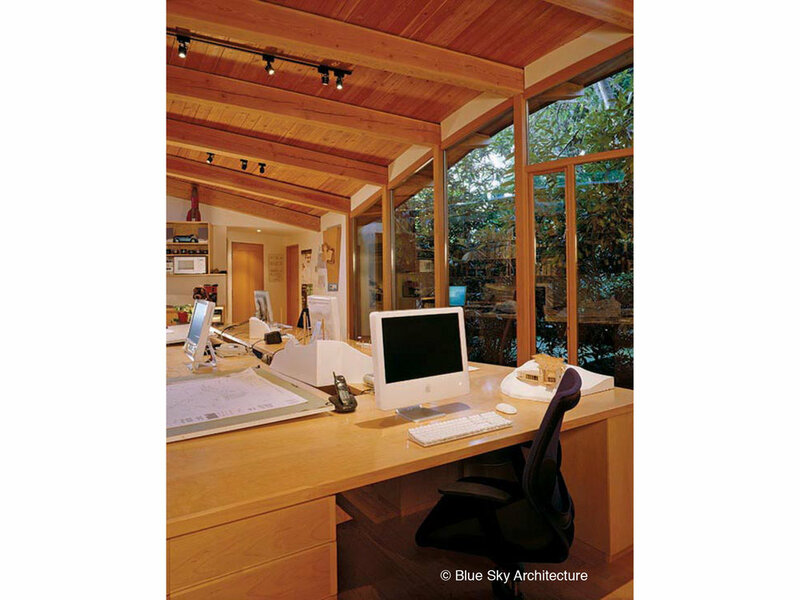 Completed in 2000, the Bayridge architecture studio is one of Blue Sky’s most significant creations—a manifesto in a room—complex in its relationships to distinct local traditions of West Coast modernism, confident in its own course out of them. 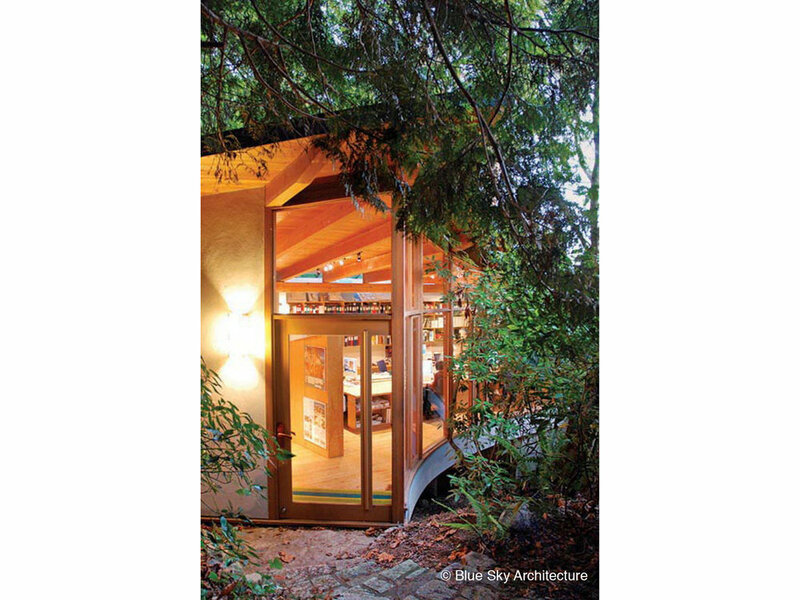 The house and studio have become key institutions in Vancouver’s architectural culture. The custom renovation has been much published and broadcast as an exemplar of the continuity of organic modernist sensibilities here.